How does “Fighting With My Family” smell among the films that The Rock has been cooking? Honorable Mention: "The Mummy Returns" (2001) It's hard to judge "The Mummy Returns" as a "Dwayne Johnson movie": The wrestler-turned-actor is in the film for a very short prologue, and then he comes back at the end as a CGI scorpion monster. But it's Johnson's first major role in a movie, so it deserves a shout-out for that reason and (since the movie is so hyperactively shrill it's kind of hard to watch) for that reason alone. Honorable Mention: "The Other Guys" (2010) Johnson has done more than one cop comedy where his cameo amounts to little more than a joke (see also: "Reno 911! : Miami"), but his appearance in Adam McKay's smart and subversive "The Other Guys" is a particular treat. 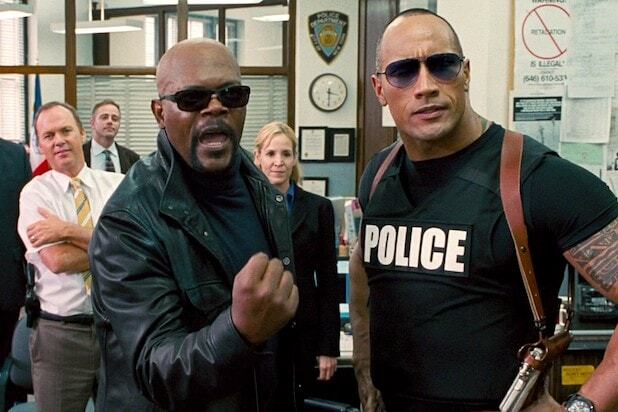 Johnson appears as the heroic action movie ideal of law enforcement, opposite Samuel L. Jackson, only to die unexpectedly, forcing "the other guys" -- Will Ferrell and Mark Wahlberg -- to take center stage instead. It's a small part, but Johnson owns it, and the rest of the movie is funny as heck too. 28. "Snitch" (2013) Johnson has made several embarrassing movies (we'll get to them in a minute), but he's never made a movie more boring than "Snitch." He plays a dad whose son gets busted for drugs, and the only way to get the kid out of prison is to rat out a bigger drug dealer. So Johnson goes undercover to find one. The idea is pulpy and interesting, but the movie is turgid and lifeless, only notable for a strong supporting turn by Jon Bernthal. 27. "Doom" (2005) This may not be the worst video game movie, but that says a heck of a lot more about the other video game movies than it does about "Doom." Johnson and Karl Urban star as Space Marines on a mission to Mars, where monsters are killing people. Andrzej Bartkowiak's film is so dimly lit it's hard to tell what's going on, and when you do figure out what's going on, you realize it's really quite dumb. The final fight between Johnson and Urban is kind of nifty, but it's not worth watching the rest of this terrible movie to get to it. 26. "Southland Tales" (2006) Richard E. Kelly's ambitious follow-up to "Donnie Darko" has an impressive cast and a lot of big ideas, but the cast is wasted, and the big ideas are the kind you'd only come up with when you're wasted. Johnson stars as a conservative movie star who gets caught in a sprawling sci-fi conspiracy, but the film isn't funny, it's not insightful, and even the craziest moments don't feel crazy enough. If you ever wonder what it would look like if Neil Breen remade "Wild Palms," well, you have very specific tastes, but this is the movie for you. And probably only you. 25. "Baywatch" (2017) Johnson takes over the David Hasselhoff role in "Baywatch," a comedy adaptation of a TV series that probably didn't know it was funny. That's not a bad idea, and Johnson occasionally makes the most of it, but the film's grotesque sense of humor and lazy stereotyping undermines any attempt it makes at cleverness. Believe or not, "Baywatch" deserved better. 24. "Empire State" (2013) The true story of the biggest cash heist in American history isn't nearly as interesting as you might think. In this competent but unremarkable drama, Liam Hemsworth and Michael Angarano pull off the crime, while Johnson takes a thankless supporting role as the cop hunting them down, who has no personality traits to speak of. There's a reason most people don't know this movie exists. It's for Dwayne Johnson die-hards only. 23. "Planet 51" (2009) An alien lands in an idyllic 1950s suburb, but the twist is, the "alien" is a human being, and the townsfolk overtaken by paranoia are green-skinned creatures from another planet. Johnson stars as the human astronaut, and he seems to be having a good time, but this harmless, humdrum animated comedy never demonstrates any imagination beyond its premise, and there's nary a laugh to be found. 22. "Journey 2: The Mysterious Island" (2012) This forgettable sequel to the forgettable "Journey to the Center of the Earth" stars Johnson as a stepdad who takes his kids on an incredible adventure to a CGI-island full of giant birds that poop on Luis Guzmán while he's riding a giant bee. Everyone seems to have only shown up to collect their paycheck, but "Journey 2" does have one of Johnson's most iconic on-screen moments: "The Pec-Pop of Love," in which he bounces a berry off of his chest and into the audience, utilizing the full power of 3-D.
21. "Get Smart" (2008) In this generic movie reboot of one of the funniest TV shows of all time, Steve Carell and Anne Hathaway take center stage, Alan Arkin gets most of the best lines, and Johnson gets trapped as the fourth lead, sitting out most of the second act. Everyone's reasonably charming in "Get Smart," but the film only has a handful of laugh-out-loud jokes, and Johnson isn't used very well (when he's used at all). 20. "Race to Witch Mountain" (2009) This remake of the Disney classic "Escape to Witch Mountain" stars Johnson as a cab driver who gets pulled into a sci-fi adventure and escorts two alien children back to their U.F.O. at a secret government base. It sounds like a good idea, but the film is so perfunctory in its storytelling that Johnson's character quickly gets taken for granted. He has no reason to be in most of this movie, and almost no reason to care about what happens in it. So the audience has no reason to care either, even though objectively it's kinda nifty. 19. "Be Cool" (2005) The long-awaited sequel to "Get Shorty" was not, sadly, worth the wait. Chili Palmer (John Travolta) goes into the music industry, and criminal shenanigans ensue. It's an overstuffed comedy, with too many characters who have too little to do, but Johnson steals every scene he's in as a lovable gay musician and actor who makes ends meet as a hired goon. It's a mess, but Johnson almost (almost) makes it work. 18. "Walking Tall" (2004) Another remake of a 1970s genre film, "Walking Tall" stars Johnson as a soldier returning home to his small town, only to discover that criminal corruption runs rampant. So he runs for Sheriff and becomes corrupt himself, but he's only corrupt in order to stop the BAD corruption, so it's ... OK? Maybe? The politics are questionable (at best), but as a lo-fi vigilante thriller, it's reasonably entertaining, and Johnson makes a fine lead. 17. "The Game Plan" (2007) Johnson plays a selfish football player who finds out he has a daughter, and that he has to take care of her all by himself, in this harmless, middle-of-the-road family comedy. Johnson eventually learns a valuable lesson about parenting, obviously, and of course he winds up wearing a tutu because, for a few years there, filmmakers thought putting him in a tutu was the funniest thing ever. Fortunately, Johnson and his young co-star Madison Pettis are very likable together and make this very familiar formula work about as well as anyone could hope. 16. "Faster" (2010) George Tillman Jr.'s crime thriller stars Johnson as a getaway driver on a mission of brutal revenge, and sure enough, he's threatening enough to pull off the role. "Faster" is inventive and violent but ultimately too grim for its own good. However, it's worth sitting through the dour parts to see this film's impressive supporting cast -- including Billy Bob Thornton, Moon Bloodgood, Oliver Jackson-Cohen, Carla Gugino and Adewale Akinnuoye-Agbaje -- play some extremely pulpy characters. 15. "San Andreas" (2015) The "Big One" finally hits California, and only Johnson can save the day. Well, kind of. Johnson plays a rescue helicopter pilot who abandons his job and steals a chopper to save his own small family, presumably at the cost of many, many others. That's not to say his motivation isn't understandable, but it's just one of many things in this movie that fall apart under the mildest scrutiny. Even so, "San Andreas" clearly wasn't made to tell a brilliant story, and as a cheesy spectacle, it gets the job reasonably well done. 14. "Tooth Fairy" (2010) Of the two movies that put Johnson in a tutu, "Tooth Fairy" is easily the better one. It's a preposterous fantasy in which Johnson tells a little kid that the Tooth Fairy isn't real and then gets sentenced by actual tooth fairies to do their job. With a premise like that you might think the movie would be terrible, but it's actually very funny, with Johnson approaching the absurd situation with just the right amount of annoyance, and a great supporting cast -- including Julie Andrews, Stephen Merchant and Billy Crystal -- having the time of their lives humiliating him in every magical way possible. 12. 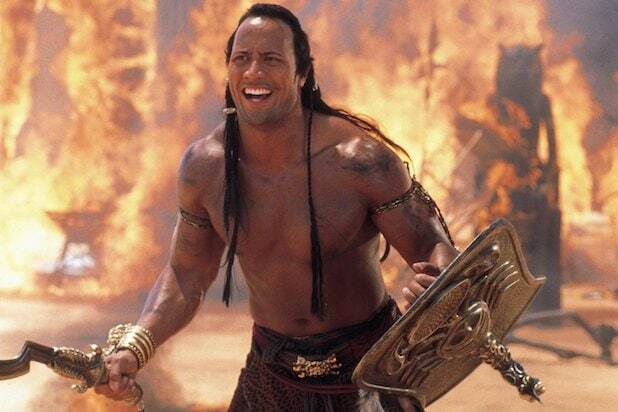 "Hercules" (2014) If there's such a thing as "no-brainer" casting, then "Dwayne Johnson as Hercules" is it. He's very charismatic in this film, as a version of Hercules who doesn't seem to be supernatural, but who lets the outlandish tales of his exploits flourish anyway, because it makes his job as a mercenary easier. "Hercules" flies way off the rails by the end, but it's mostly a solid, rollicking adventure. 11. "G.I. Joe: Retaliation" (2013) The sequel to "G.I. Joe: The Rise of Cobra" is completely superior to the first, for whatever that's worth. Jon M. Chu's film kills off most of the cast members from the original and lets new characters, led by Johnson, take center stage. In the film, the sinister organization Cobra has taken over America and declared war on the Joes, and the only thing that can stop them is badass action sequences and nonsensical but entertaining plot devices. It's still a dumb movie, but it's a fun one, and the mountaintop ninja centerpiece -- inspired by the legendary comic book story "Silent Interlude" -- is alone worth the price of admission. 10. Skyscraper (2018) A shameless mash-up on "Die Hard" and "The Towering Inferno," with Johnson scaling the world's tallest building -- complete with indoor rainforests and a ridiculous holodeck suite -- to rescue his family from gun-toting arsonist bad guys. But "derivative" isn't the same as "bad." This outlandish action thriller has unbelievable but crowd-pleasing action sequences, and Johnson and Neve Campbell -- who co-stars as the doctor trying to free her kids from the blaze -- are fully invested in their performances. 9. "Pain & Gain" (2013) Arguably Michael Bay's best movie, "Pain & Gain" stars Mark Wahlberg, Anthony Mackie and Johnson as halfwitted bodybuilders who kidnap a millionaire and immediately get in way over their heads. This violent, mostly funny film plays like a Coen Brothers script if it were directed by, well, Michael Bay, and his brazen approach gives "Pain & Gain" a distinctive and manic sensibility. Sometimes it's overwhelming, but usually it's a hoot, and Johnson, as you might expect, steals the film as an ex-con trying not to do terrible things and failing miserably at every turn. 8. "Central Intelligence" (2016) Kevin Hart was the cool kid in high school, Johnson was the bullied kid, and they meet up years later at a reunion, where it turns out Johnson became an international super-spy and Hart became a milquetoast corporate cog. Naturally they wind up saving the world together. It sounds a little generic on paper, but "Central Intelligence" is actually a very sweet, very funny movie, which earnestly explores the long-lasting effects of childhood bullying. The scene where Johnson confronts his high school tormentor, and falls apart in the process, is one of the best pieces of acting in his whole career. 7. "Gridiron Gang" (2006) Johnson's best "serious" drama is this familiar but very effective sports movie, in which he reforms teenagers in a juvenile detention center by starting a football team. Director Phil Joanou doesn't pull any punches, dramatizing the harsh lives of these kids with palpable tragedy. Meanwhile, Johnson gives a very respectable performance as the coach who comes to realize he's letting his past control him, just like his players are. "Gridiron Gang" is based on a true story, and it's an inspiring one, and the film proves once again that old sports movie formulas still work and probably always will. 6. "The Rundown" (2003) Arnold Schwarzenegger has a cameo at the beginning of "The Rundown," telling Johnson to "have fun," as if he were officially passing the action-hero baton. And in Peter Berg's film, an early case is made for Johnson's eventual superstardom: he's charming and thrilling as a bounty hunter who travels to Brazil to retrieve Seann William Scott, who thinks he's found lost treasure. Together they run afoul of Christopher Walken, who plays (as usual) a fantastic villain. The plot is old school adventure nonsense, but the characters are fun, and the action is dynamic. Only a few cringe-worthy scenes of gross comic relief hold it back. 5. "Fighting With My Family" (2019) Florence Pugh (“Lady Macbeth”) stars as WWE champion Paige, who grew up in a rowdy wrestling family, and surpassed her own brother to become a star. Dwayne Johnson plays himself in a small but pivotal role, as a legend ushering in a new generation of wrestlers, but everyone involved is a winner. Pugh beautifully captures the self-doubt that sneaks in as success finally looms, Nick Frost and Lena Headey are delightful as Paige’s rough-and-tumble parents, Jack Lowden is heartbreaking as Paige’s brother Zak, and writer/director Stephen Merchant’s respect for wrestling is infectious and sweet. "Fighting With My Family" is sincere, uplifting, and inspirational. Everything you could want a sports movie to be. 4. "Jumanji: Welcome to the Jungle" (2017) A group of teenagers get pulled into a video game, and they have to embrace new identities in order to get out again. It takes too long to establish the concept and the rules of "Jumanji: Welcome to the Jungle," but once it finally gets going it's one of the most rip-roaring blockbusters in recent memory, with a dynamite cast (Johnson, Karen Gillan, Kevin Hart and Jack Black) pulling double duty, as both their stereotypical video-game personae and the completely different people stuck inside those bodies. The action is inventive, and the humor mostly lands, and Johnson is fantastic as a nerd having trouble thinking of himself as a hero. 3. "Rampage" (2018) Brad Heyton's "Rampage" is the right kind of stupid. Johnson stars as a primate expert whose best friend, an albino ape named George, gets exposed to a sci-fi thingamawhatsit and grows huge and aggressive, doing battle with a giant mutated wolf and a giant mutated crocodile. The plot makes no sense whatsoever, and the movie knows it, so it just runs full-speed ahead from one outrageous and well-executed set piece to the next. "Rampage" wisely focuses all its serious attention on the characters, especially the genuinely emotional, interesting relationship between Johnson and George, which makes us care about all this craziness. 2. The "Fast & Furious" Movies (2011-????) Separating them is impossible. Johnson doesn't show up until the fifth (official) entry in the "Fast & Furious" series, and he sits out a lot of the seventh movie, but he's a big part of what made this franchise jump from a decent series of car-racing movies to one of the best and biggest action franchises on the planet. He's the ultimate foil for Vin Diesel's seemingly unstoppable antihero, and when he joins the team his heroism makes all these unrepentant thieves seem more likable than ever. And of course, these films have some of the best action sequences around. They're cheesy, they're absurdly emotional, and they are a ton of fun. 1. 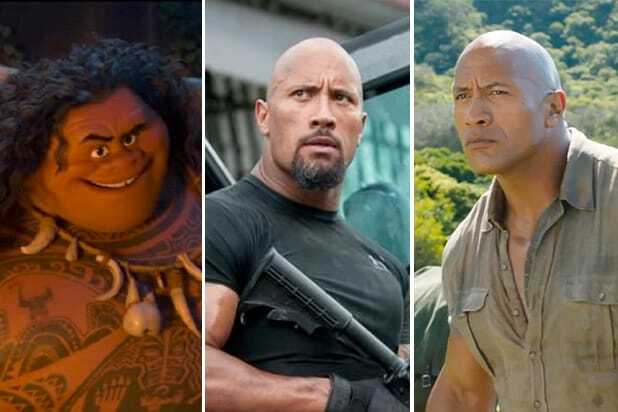 "Moana" (2016) Johnson plays a clever subversion of his typical on-screen persona in this fantastic Disney animated film as Maui, a hero whose reckless adventuring, and whose lifetime of coasting on charm, has actually doomed the world. It's up to a young woman named Moana (voiced by Auli'i Cravalho) to find him, convince him to grow up, and ultimately save the day for him, typifying a new generation with a new kind of heroism. It's gorgeously animated, incredibly funny, the songs are fantastic, and Johnson gives a wonderful performance as a dashing demigod.